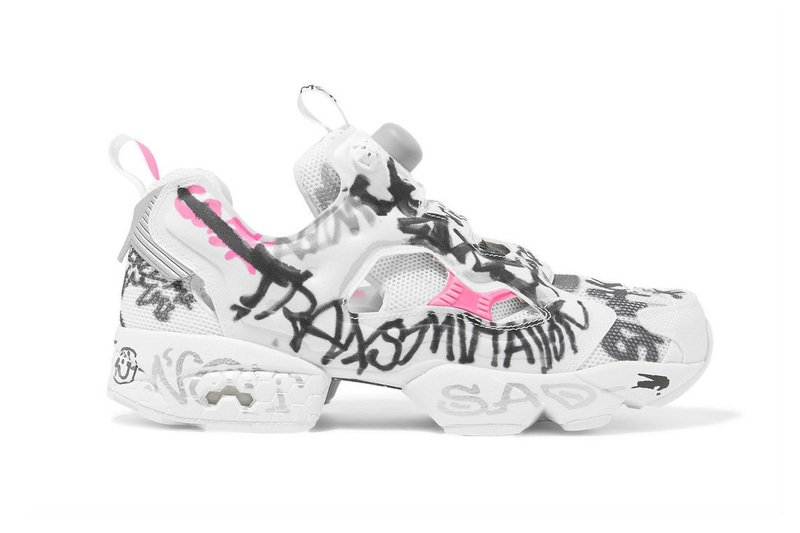 Vetements and Reebok once again join forces on a new Instapump Fury iteration. This time around the exaggerated silhouette takes on an all-white upper while hits of pink and grey can be found on the lateral side, back heel panel and heel tab. Throughout the Fury’s upper and midsole, grey, white, and pink text is haphazardly written about. Finally a grey and silver Pump button is featured on the right tongue tab, while a white and pink Pump button takes the left. Vetements and Reebok’s latest collaborative effort is now available at select retailers such as Net-a-Porter for $990 USD. The popular model gets even better. Featuring a New Balance collaboration.